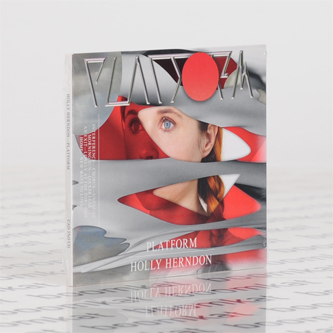 Holly Herndon presents an incisive 3rd album of dance-pop deconstruction couched in heavy concepts relating to contemporary hyperreality for 4AD. Flanked by fellow modern artists such as Amnesia Scanner, Amanda DeBoer Bartlett, Spencer Longo and Mat Dryhurst, the Tennessee-raised, Berlin-skooled and San Francisco-based doctorate student has realised her most vivid, elaborate treatise on the surveillance state, systemic inequality and electronic fantasy with 'Platform'. 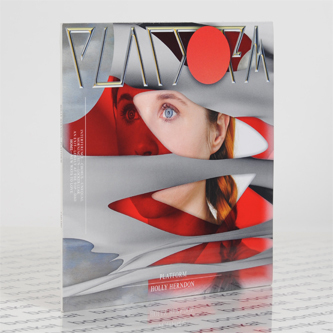 Catalysed by the intention to create a new music which better represents our now non-linear temporality, she fractures the vectors of trance-pop with 3D production rendering and an avant-garde predilection for concrète/electro-acoustic dynamics, giving rise to a singular, inquisitive voice in the 21st century datascape. 'Home' and 'Chorus' aside, it's all new material, most impressive in the crack'd concrète lean of 'An Exit' with Amnesia Scanner, or the smartly clipped junglist frameworks buried in 'Locker Leak' against her mutant duet with visual artist Spencer Longo.